Depending on which state the Slingshot is registered in, it will either be registered as a motorcycle, or as an auto-cycle. 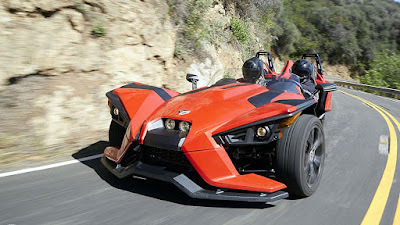 Hawaii is the only state still legislating on vehicle classification. 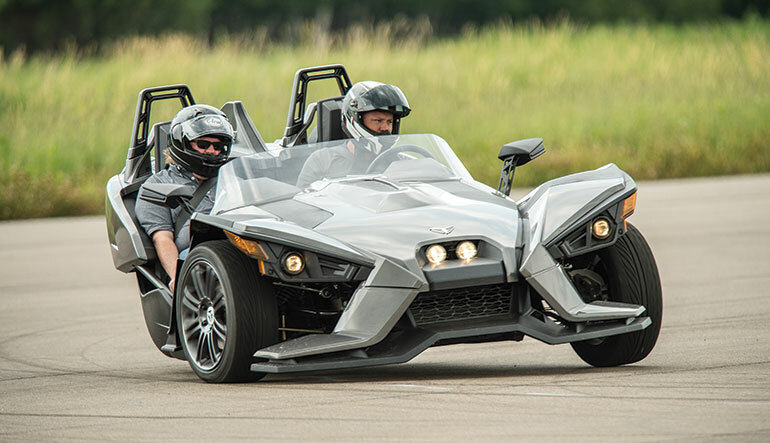 The Slingshot weighs 1,743 pounds (791 kg) and is powered by a 2.2 liter inline four engine derived from the GM Ecotec. This engine was formerly used by GM in the Pontiac Solstice and Saturn Sky sports cars. The 2015 Polaris Slingshot has a 2384 cc displacement, with a five-speed manual transmission. 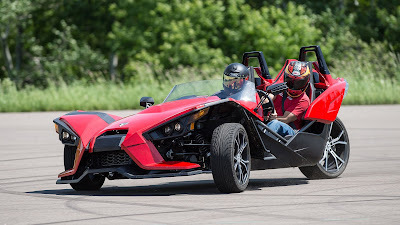 The standard Slingshot has two 17" front wheels and a singular 18" wheel in the rear of the vehicle, while the Slingshot SL and SL LE Edition have two 18" forged aluminum front wheels with a 20" rear wheel. All models have a double-wishbone front suspension with a sway bar to control the front end.